Some creative ways to demonstrate your thankfulness towards our Veterans. Hyper Pixels Media exists to bring glory to God and to assist the local church by equipping it with creative media resources. Visit this link to view their Veterans Day resources. SermonSpice.com is the original source for sermon illustration videos, worship backgrounds, and church countdowns. Offers a variety of Veterans Day resources for your church service. Children across the country can express their thanks to our nation’s millions of veterans by entering the Paralyzed Veterans of America (Paralyzed Veterans) annual National Veterans Day Poster and Essay Contest. The competition is open to students in grades 1–8. The poster contest is open to students in grades 1–4, and the essay contest is open to students in grades 5–8. Entries must be received by October 9, 2018. Explains the origins and history of Veterans Day. Educational resources to use in the classroom, provided with the hope that you will share with your students about what it means to be a veteran and how they can honor our veterans. Take a Veteran to School Day, a popular HISTORY® initiative, encourages schools to connect veterans with young people to hear their stories of service and learn more about Veterans Day. These events can range from a simple one-class visit with veterans to an all school assembly. Register for this free program and view sample agendas and a wealth of free curriculum resources. Stories from the Veterans History Project, from World War I up to and including the war in Iraq and Afghanistan. Along with recognizing the sacrifices of the past and present, Wreaths Across America™ counts educating our children as one of the chief missions of our campaign. Without that connection to the future, we will fail to remember that freedom isn't free. Site includes middle school downloadable curriculum, Daisy Dog and the Parade of Purpose coloring book. Classroom activities which coincide with the Students Thank a Veteran program can be adjusted to all grade levels. Many of these suggested activities can be done in a class period or extended throughout the school year. Over 100 links to Veterans Day resources on our Pinterest board. TeacherVision's cross-curricular Veterans Day lessons, printables, and resources helps students understand the contributions veterans have made to the country. There are Veterans Day worksheets to honor heroes, facts about flags, pop-up art books to make, literature guides, patriotic songs, historical references, and many more fun and educational activities for your students of all grade levels. 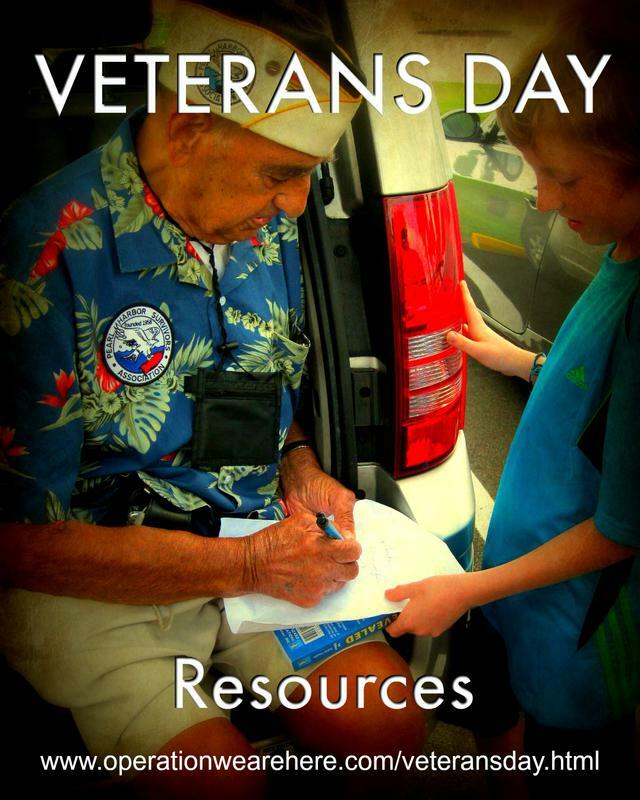 Veterans Day resources for the classroom. Locate a Veterans Day activity near you, or register your event. "I am a teacher at a high school on Long Island, New York. We would like to do something special for this coming Veterans Day. We were thinking of some kind of collection of items that we could send to the military overseas. Do you think this is a good idea? Or is there something better that you need for us to do? We would start it now, and them we plan on having a school assembly honoring our Veterans just before Veterans Day." If your school is near a VA Hospital, your students could visit veterans in the hospital. Visitors are always valued by hospitalized veterans. The majority of military supporters people from corporations, to non-profits, to individuals organize untold numbers of efforts to send things to the troops. Consider instead finding families back home to help or bless with a cheer up. Maybe a home cooked meal, a restaurant gift certificate, babysitting, or painting/redecorating a room. Do something great for the veterans in the VA hospital, as these guys never received the appreciation they deserve when they were off fight wars so many years ago, like our troops get now. As a spouse/family of a deployed soldier, I like the idea of doing something for the families. It would be nice to just know someone cares. 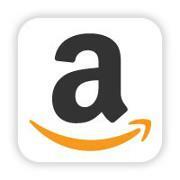 Are you close to a military base? There are Family Readiness Groups (FRG's) that support the families while the soldiers are deployed. If you are not near a base, then contact your VFW or your local AmVet representative. These numbers are available online. You could also connect with a local news channel about what you want to do and send a "shout out" to military families that may live in your community. Thanks for wanting to help our military - God bless you! If close to a VA hospital or VA nursing home, go for a visit. Something to show appreciation for the warriors of our past, the Vets. Maybe a coffee and donuts reception somewhere. Have students who are connected in some way to the military write a short essay about that person (cousin, sibling, friend, grandparent) and then create a video collage of these essays to be shown at the Veterans Day assembly to help the "military" become more personal to those who have no connection. Iowa's Speak out for Military Kids youth created Deployment: It's Not a Game to increase awareness about the deployment cycle. As players move through the game, it serves as a tool to get them thinking and talking about the impact of deployment on military kids and families. Players are encouraged to identify issues military kids face during deployment, to reflect on how they might act in similar situations and to discuss how their school, community or organization might develop a plan to support military kids and families experiencing deployment.